Getting married is one of the most important event in life. So as the bride, when the groom is out on his bachelor party celebrating with his friends, what will you be up to? A bachelorette party is a great way to spend time with your friends and bid farewell to living as a bachelorette. It helps get all your friends together and reminisce about the fun times you've spent together and make a few more crazy memories before tying the knot. Our hens party limo hire is the perfect way to pamper yourself in luxury and enjoy the last night of freedom and partying relentlessly with your friends. 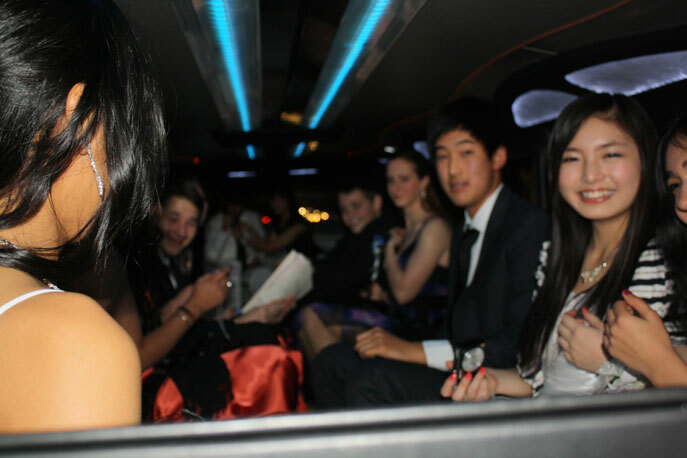 Why Hens Party Limousine Hire? This night can go on forever provided you have the right plan. By opting for limo hire for your night, you stand to enjoy a variety of benefits. In this case, you get to travel through the city and visit some of your favorite venues, pick up all your friends wherever they are; all this while being driven in utmost luxury. With the hens night limo hire you can be sure that you will have a great time out and create some fun memories. Our 12 seat limos are built to Australian standards. You can expect an interesting party environment within the limo with smoke machines and laser lights for a club-like scene. The fun does not end there, iPod connectivity and DVD screens mean you can enjoy your own customized entertainment or alternatively get some professional music mixes to rock to. Whether it's your own videos or your favorite artist's, you can set the tone for this night as per your preferences. For the best deals, we also offer to upgrade your hens night limo hire to the 12 seat limos if you have booked a smaller one during off-peak times. We understand that no matter how great our limos are, it all boils down to the quality of services offered and how this is delivered. This is why for your hens party limo hire you will get professional chauffeurs for the best treatment and quality service delivery. All our luxury vehicles are driven by professional drivers well versed in the Melbourne city layout; wherever you want to go you are guaranteed that you will get there with the least hassle on this special night where everything is truly about you. At Limo Hire Melbourne, we are dedicated to offering only the best vehicles equipped for the excitement and fun that should characterize your hens party. Our variety of limos for your hens party ensures that everyone can find their preferred choice. Call us today for hens night limo hire for the perfect experience.